Sleeping bag liners are ideal for extra warmth and keeping your sleeping bag clean while camping. 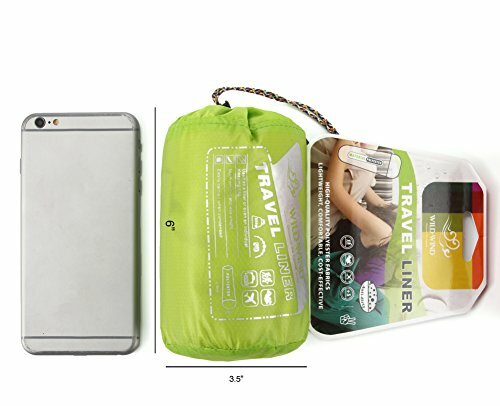 Plus they can double as a travel sheet when backpacking around the world. When spending the night camping outdoors, you need a decent sleeping bag to keep you warm at night. But just like a bed, having the best sleeping bag liner tucked inside can add some comfort and insulation for those cooler nights. Sleeping bag liners have other benefits as well, such as protection from insects, keeping the inside of your sleeping bag clean, and giving you a better night’s sleep. These handy liners use a few different materials to suit your comfort and insulation needs. So if you don’t like the feel of the inside of your sleeping bag or just need that extra bit of warmth, they can be a great option. There are many colors to choose from and many of them are versatile enough to use when staying at hotels and hostels where the hygiene of the blankets you’re using may be questionable. Since they pack up super small I’ve used them before as travel sheets on backpacking trips. If you think having the best sleeping bag liner with you on your next trip is essential, check out our reviews of the top models below. Why Get a Sleeping Bag Liner? 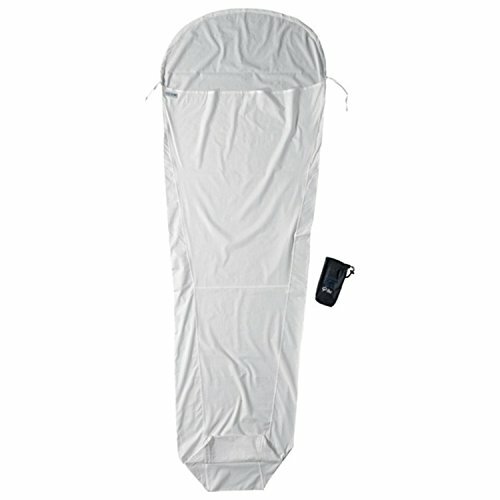 At just over 7 feet long, this sleeping bag liner can accommodate even the tallest outdoor lover. 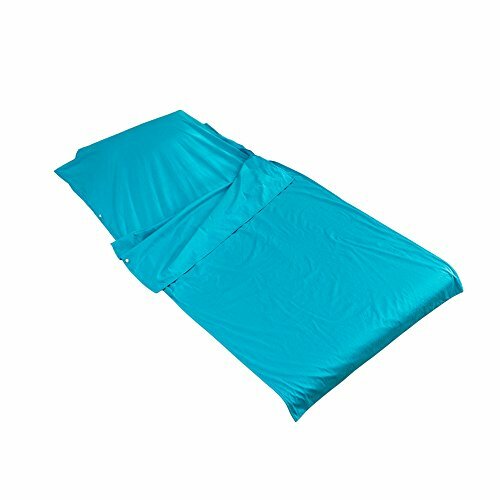 Its rectangular shape makes it easy to use with almost any sleeping bag comfortably, giving you all the leg room you need to stretch out while you sleep. The polyester material is durable enough to last through countless trips, but unlike some other blends, it feels as soft against your skin as a silk sleeping bag liner. It also won’t stick to you during humid weather, so there will be no bunching when you roll over. Velcro closures on the one side make it easy to slip into this sleeping bag insert. Close it up, zip up your bag, and you’re ready to hit the sack. As an added bonus, there is also a cover on the top of the bag to hold a pillow. You can also tuck this area into a hooded sleeping bag for extra protection. 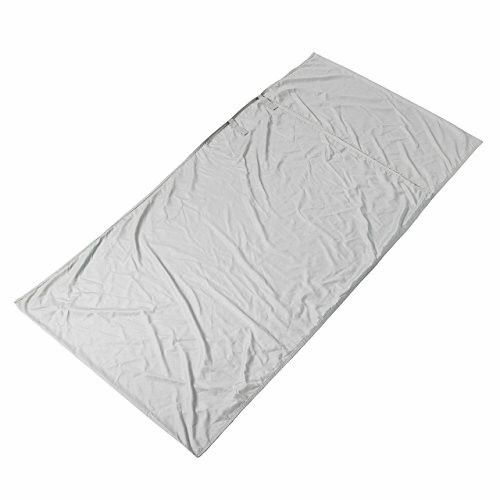 The best sleeping bag liner washes easily and folds small. The The Friendly Swede Sleeping Bag Liner meets both these needs for a clean, travel ready accessory you won’t want to do without. If backpacking and camping in the colder climates are part of your adventures, the best sleeping bag liner for you will be one that gives you some insulation against the lower temperatures. The Sea to Summit Liner uses Thermolite fabric, which mimics the hollow core of a polar bear’s fur, which pushes moisture to the outside while holding in your body’s natural warmth. It can even retain up to 25 degrees Fahrenheit of warmth when used in your sleeping bag. This mummy sleeping bag liner keeps you toasty from head to toe. The 3D footbox at the bottom gives you plenty of room to relax your tired feet. The hood has a drawcord you can tighten as much as needed for maximum warmth on cold nights, or can be left open when camping during the summer months. The mini cordlock keeps its position held tight all night long. For easy traveling, this mummy liner includes a lightweight Ultra-Sil stuff sack for fast and compact packing. There are a few benefits of using a silk liner for sleeping bag. Silk is lightweight and easy to pack. It is breathable, so you won’t sweat all night when the temperatures are at their highest. But on cooler nights, silk also responds to the change in temperature, holding in the warmth you need. But this travel liner takes it a step further, using Ripstop Silk to withstand the tears that could damage regular silk. This makes the liner stronger and more durable, perfect for countless trips. The seams are completely double stitched for extra protection. The Cocoon Silk Mummy Liner keeps your sleeping bag clean during your trip, no matter how dirty the conditions. It washes easily by hand or in your machine and can be hung to dry or put in the dryer if you’re in a rush. There is a wide top opening which makes it easy to slip inside this liner when you’re ready for bed. The drawstring hood cinches closed to hold in your body heat on those cooler nights. The boxed foot end gives your feet a bit of extra room to move while you sleep. At just over a pound in weight, this handy fleece sleeping bag liner is a great lightweight addition to any overnight outdoor trip. It comes in a handy storage bag that can be easily packed in your backpack or hung over your shoulder by its drawstring during travel. The microfiber fleece material is rated at 55 degrees Fahrenheit, perfect for keeping you warm on those long winter nights. 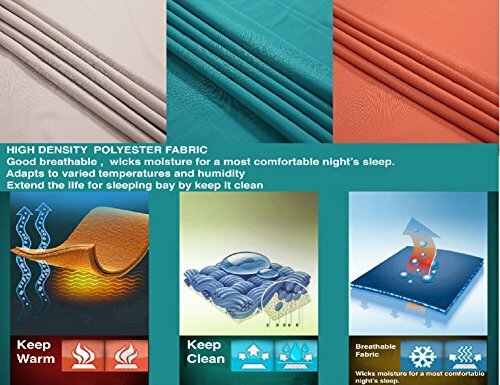 But it can also be considered a 4 season sleeping bag liner since you can use it on its own in the summer when a heavy sleeping bag is just too hot to sleep in. 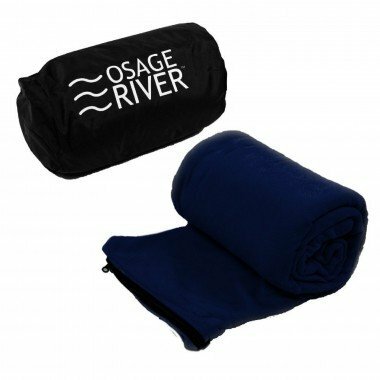 Osage River’s sleeping bag fleece liner is also versatile enough to use daily. 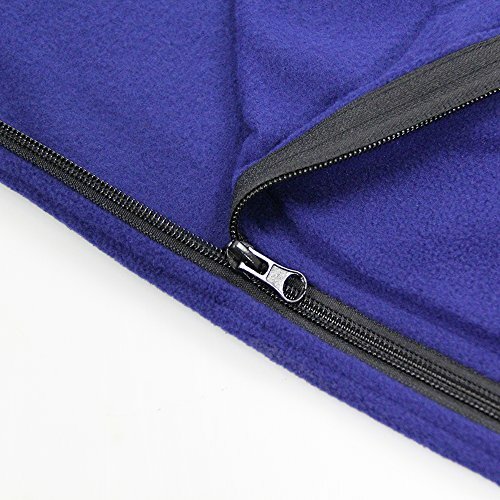 If you are out at a sporting event on a cooler evening, or just want a warm blanket to cuddle under while watching a movie, just unzip the liner and spread it over you and your partner or kids. Whether camping in your backyard or miles into the wilderness, the best sleeping bag liner for comfort and warmth during any season is a necessity, and the Osage River zippered sleeping liner meets these needs. This lightweight sleeping bag liner from ALPS Mountaineering is made from a microfiber material that is thin, yet durable. It fits nicely into almost any mummy sleeping bag with no bunching when you turn over in your sleep. 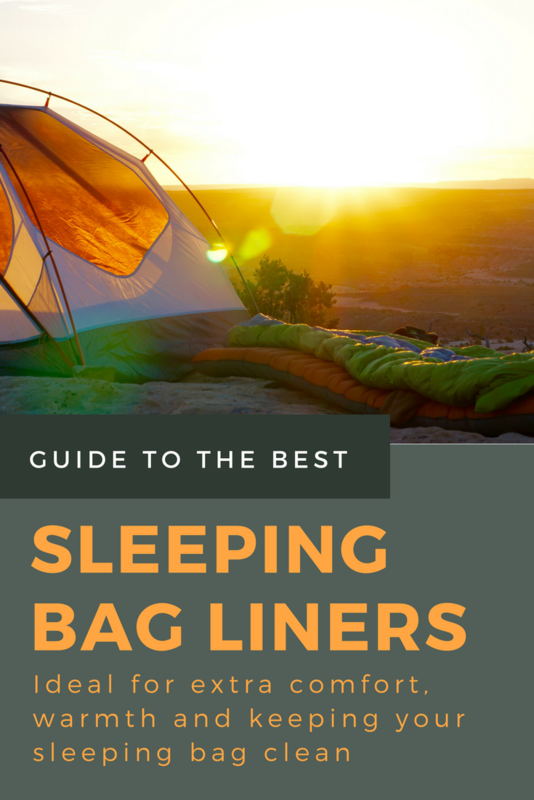 This liner can also double as a sleep sheet on its own on those warm nights when a sleeping bag is just too heavy for a comfortable night’s rest. It is over 7 feet long, accommodating even the tallest traveler without forcing them to curl up all night or leave themselves exposed to the elements. Using this liner will ensure a clean sleeping bag, no matter how dirty the conditions are. When your trip is over, toss it in the washing machine so it’s ready for your next trip. 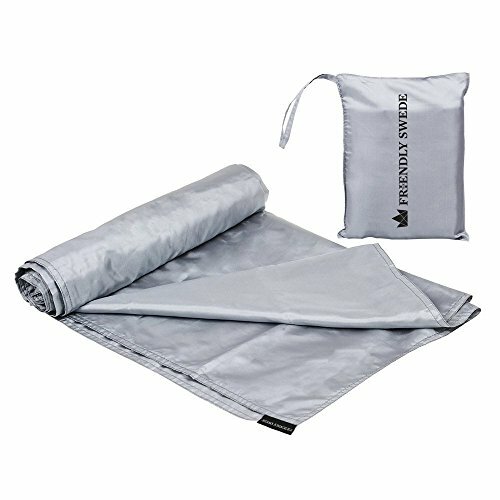 ALPS Mountaineering also makes a poly cotton sleeping bag liner with the same dimensions, weight, and gray color. But it is a bit more expensive, so be sure to check your budget before deciding which material will make up the best sleeping bag liner to meet your needs. With three different sizes and eight different colors to choose from, you’ll have no trouble finding the right sized sleeping bag liner for your next trip, no matter how many people you plan to squeeze into it. The OUTRY 100% Cotton Travel and Camping Sheet is thin and soft for the most comfortable sleep imaginable. It has a zippered bottom, one side fully seamed, and the other open to make slipping inside super easy. But there is a clip closure to keep it from shifting while you sleep and exposing your skin to the cold temperatures. 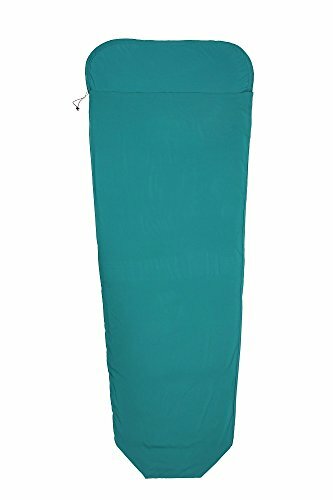 The top part of this sleep sack for travel has a cover to keep your pillow as clean as your sleeping bag. This way, when you return home, you only need to wash the cotton sleeping bag liner instead of struggling to clean your sleeping bag and pillow without ruining their shape. And when your trip is over, or you’re packing for your next one, the handy stuff sack keeps your liner clean and compact until you need it again. Though the tag may say polyester, this liner by California Basics is as soft as many of the silk sleeping bag liners on the market. This fabric helps regulate your body temperature, making it great for both hot and cool nights out in the woods. It is also breathable with moisture wicking ability that keeps you dry, even when you’re sweating from the higher temperatures. Despite the softness of this silk-like material, this ultralight sleeping bag liner is durable and strong. The tough fabric will last through countless trips, making it well worth the low price. Not only can you use this to keep your sleeping bag clean when traveling in messy conditions, you can use it at home or when sleeping in a hotel or hostel to protect you from germs, bed bugs, or dust mites that may be lurking in the unknown bed. Both sides are seamed, but the one side only two-thirds of the way up. This gives you an opening to get in easier. Then use the Velcro closures to seal it up and lock in your body heat for that extra warm layer of insulation. Using cold weather sleeping bags for camping, backpacking, or other outdoor adventures is a necessity when the temperature drops. But if you need an extra bit of insulation, having the warmest sleeping bag liner you can find can make your trip that much more enjoyable. Each of the liners in this 2 pack is made of microfiber material that is rated up to 55 degrees Fahrenheit. The material has other benefits as well, including being non-abrasive, lint-free, and hypoallergenic for those with sensitive skin and noses. 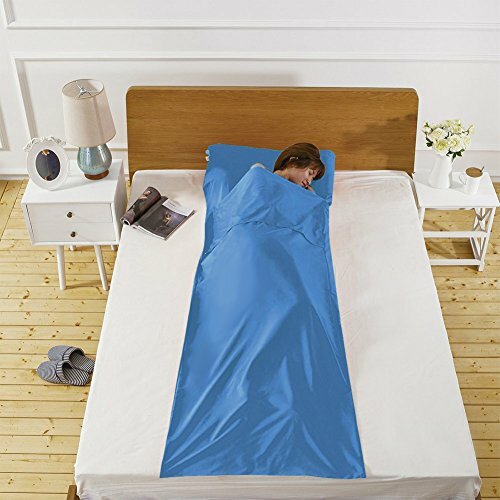 This travel sleep sheet is seamed on one side, with a zipper that runs along the bottom and the other side, similar to a regular sleeping bag. This makes it easy to slip into the liner. Then just zip it up, zip up your sleeping bag, and you’re ready for bed. There are a number of colors to choose from, all of which include a handy stuff sack for easy storage. Best of all, this liner can double as a blanket for cool nights around the fire, or for tailgating parties at sporting events. When it comes to the Rab Silk Sleeping Bag Liner, there are a few different options for you. The standard mummy size, with the specs listed here, is made of silk for a soft feel against you skin all night. But it also gives you a layer of insulation for extra protection against unexpected cool weather. For those who are in need of a longer silk sack to accommodate a taller frame, there is a long model available that adds almost 10 inches to the length of the liner for a better fit. There is even a hooded silk travel sheet available for those who need the extra head coverage on those cold winter nights. When your trip is over and you’ve headed back home, all you need to do is wash your sleeping bag liner since your sleeping bag will still be clean and ready for your next trip. Then pack your liner in its stuff sack until you need it again. Though not the lightest liner on our list, this is still an ultralight sleeping bag liner for those who plan on walking long distances to their chosen camping spot. It packs small into its storage bag to make traveling even easier, without forcing you to leave your other camping essentials behind. The synthetic silk material is soft on your skin while still remaining durable enough for years of use. It is breathable as well for added comfort while you sleep. This fabric also reflects your body heat, locking it in, which is necessary for cooler nights. The moisture wicking ability keeps you dry, and there is an anti-microbial treatment for a more hygienic and odor-free sleep sack. If you’ve ever been camping for a few days with limited shower facilities, you know how important this is. 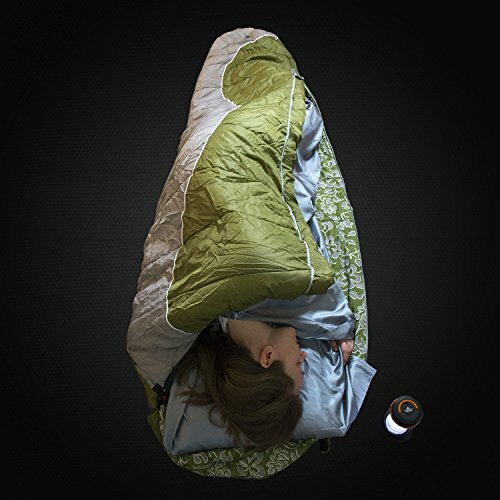 You can use this for any camping trip, or when traveling to hotels or hostels where you prefer a barrier between you and the sheets you are sleeping on. On hotter nights, this liner can even double as a sleeping bag. Just slide into the open side, then use the rope closures to hold it in place while you sleep. A sleeping bag liner is a thin piece of material that is folded over to make a sack that looks similar to a sleeping bag. They are inserted into the bag, creating an insulated, protective layer between you and your sleeping bag. This is handy because you don’t need to worry about a dirty sleeping bag when your trip is over. The liners are easy to wash and dry quickly. They usually come with a storage bag as well for easy packing and traveling. They come in a variety of shapes, sizes, and materials for both warm and cold weather. You can use them on the road when staying in a hostel or hotel as well as when camping. Many of them can even double as a blanket for cold nights at outdoor sporting events or concerts. 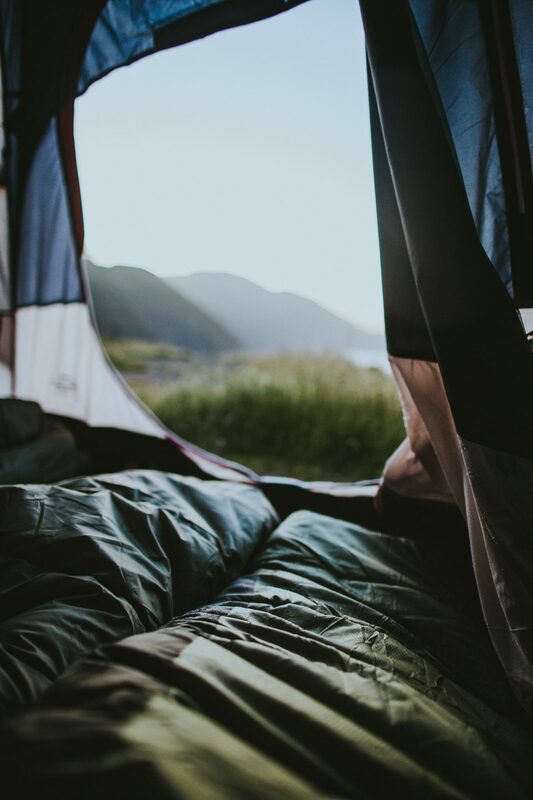 There are many reasons to get the best sleeping bag liner you can for your next trip, whether you prefer rugged wilderness or the comforts of an upscale hotel. The first is for warmth. Even an ultralight sleeping bag liner can give you an extra layer of insulation for those cooler nights. Just because you have a 4 or 3 season sleeping bag doesn’t mean you won’t still feel the chill when the temperature drops. A liner can help lock in your body heat for a more comfortable sleep. On warmer nights, you can also replace your warm sleeping bags with the liner, using it alone to protect you from insects while still keeping you cool. A removable bag lining can also keep your sleeping bag clean during your trip. It’s hard to properly wash a sleeping bag, so having a liner you can take out and wash instead is much easier. If you stay in hotels or hostels while traveling, you can never be too sure about the cleanliness of the sheets. A travel sleeping bag liner can work as a protective barrier between you and those sheets. You need to use a sleeping bag liner any time you are spending the night outdoors. This includes camping trips of course, but can also include backpacking, hiking, and mountaineering trips that last longer than a day. But you can also use your liner as a travel sheet in hotels, hostels, or even at a friend’s place when you know there may be a lack of adequate blankets. If your child has friends at your place for a sleepover, or away on one, your sleeping bag liner will also come in handy. If you have a thermal sleeping bag liner, it can be used as a blanket on a cold night watching your favorite football team, or at an outdoor concert when the temperature drops. In fact, if you have the best sleeping bag liner available, you’ll find just about any reason to use it. When finding the best sleeping bag liner to match your sleeping bag, there are 5 shapes to choose from. The first is rectangular, or standard shaped. 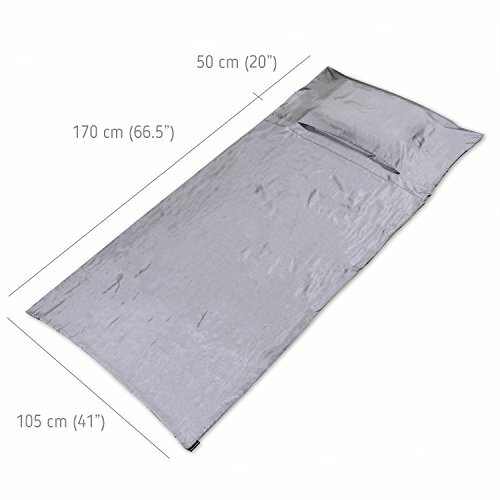 It has straight sides and fits into most standard, rectangular sleeping bags. You can also find rectangle models in extra-long, which has the standard rectangular shape, but with added length. These are best used by those taller individuals who need a roomier liner and sleeping bag. The mummy style is wider at the shoulders and thinner at the feet. This offers a snug fit and is necessary for those who have a mummy sleeping bag. There are also hooded mummy liners that offer additional head coverage if needed. Then there is the traveler liner. These are also rectangular shaped but have some extra fabric at the top to create a pocket for your pillow. Those who are staying in hostels or hotels usually favor these for the extra protection from sheets and pillow cases that may be lacking in cleanliness. 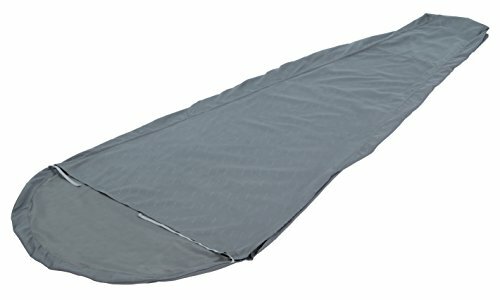 If you have a 2 person sleeping bag, there are also double sleeping bag liners that work great in double sleeping bags. It is rectangular in shape but is wider to accommodate the extra person. How much your sleeping bag liner weighs depends on the size and the material you use. Heavier materials will add a few extra ounces, but even this extra weight shouldn’t hinder you while you’re traveling. Even those traveling by air shouldn’t have to worry about being over any weight restrictions when carrying one of these liners with them. Because most of these liners are thin, they are easy to roll up and pack away into a compact bag or stuff sack. This will ensure they don’t take up too much room in your pack. If needed, many of these liners include a carry bag that you can even attach to your pack on the outside if you’re lacking internal room. Silk is definitely the softest material available when it comes to the best sleeping bag liner. It is also extremely lightweight and can pack smaller than any other fabric. Silk is even easy to clean in no time. Cotton is a natural fiber that adds warmth while still remaining breathable. This soft material is a bit heavier and doesn’t pack quite as small as silk but is as easy to clean. Poly Cotton combines the light weight and strength of polyester with the softness and breathability of cotton. It is lighter than cotton alone but cleans as easily. Polyester alone can also be used since it is durable and light, but it is not as comfortable against the skin. Fleece and Thermolite offer more insulation than the other materials, but they also add extra weight. These fabrics are also thicker, so won’t pack as small. Even a thin sleeping bag liner will add a bit of warmth, but if you are sleeping outside on a snowy night, a thinner material will be no match for the dropping temperature. That’s why you need to check the fabric used to make your liner before you pack it for your trip. The thicker the material is, the warmer it will be. Silk or cotton will be a great layer on a cool summer night, but for winter adventures, a fleece or thermolite sleeping bag cover will be your best choice. It’s also a good idea to check to see if your liner has a temperature rating. This will help you decide if it will be the best sleeping bag liner for the conditions you’ll be facing. Since your liner will be tucked inside your sleeping bag or used between the sheets of a hotel or hostel bed, the color probably won’t be an issue for you. But we all have our preferences in that department, and the best sleeping bag liner manufacturers have taken this into account. Most of the liners come in neutral colors, like gray, blue, red, or black. But if you look hard enough, you can find a flashier color to meet your style. Some liners even come with plaid or flowered patterns for those who prefer something other than a solid color. Though the basics of sleeping bag liners are pretty much the same, there are a few other features to consider before you buy. The first is a hood. If you have the best winter sleeping bag, it will most likely already have one of these to keep your head warm at night. So, why not get a liner to match? This will give your head that extra insulation your body is getting. 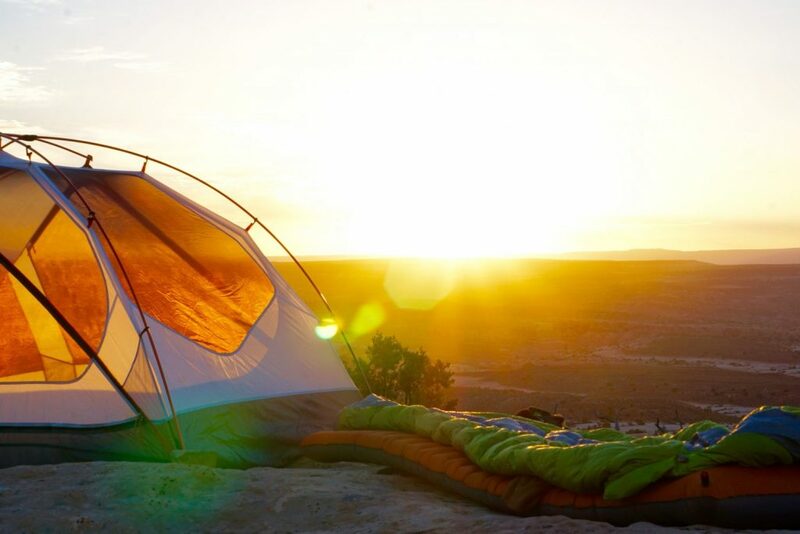 Whether camping, backpacking, or staying in a hotel or hostel, a pillow case liner can be a handy accessory. This keeps unknown pillow cases from touching your skin, which is necessary if you aren’t sure how clean it is. For your own pillow, this will protect it the same way the liner protects your sleeping bag. For those traveling to humid areas that may be ripe with mosquitoes or other biting insects, the best sleeping bag liner for you will be one that includes a bug-repellent coating. This is an odorless shield that keeps you safe all night long. When it comes to price, don’t assume you have to pay a fortune to get the best sleeping bag liner for your needs. Usually, the cost of these liners has to do with the material used. For instance, silk or thermolite liners can be the most costly available. Synthetic fabrics, fleece, or microfleece are all moderately priced. The cheapest liners you can find are made of cotton or polyester since these fabrics cost the least to manufacture. Of course, the brand name also factors in with liners, just like in anything else you buy. If you are on a budget, check out the types of materials you have to choose from based on the expected temperatures, and then make your decision when you determine the cost of each. Comfort and cleanliness are important for all your gear, no matter what type of adventure you prefer. That’s why having the best sleeping bag liner can be a great addition to your camping, backpacking, or travel accessories. They can add warmth, comfort, and keep you from dirtying up your sleeping bag for an easier time cleaning up when you get home. The different sizes and shapes are also great for accommodating everyone, from small children to tall adults. 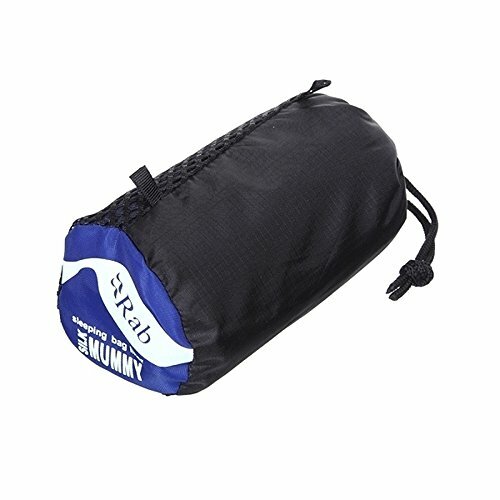 Our top pick for the warmest sleeping bag liner goes to the Sea to Summit Reactor Extreme Thermolite Mummy Liner. 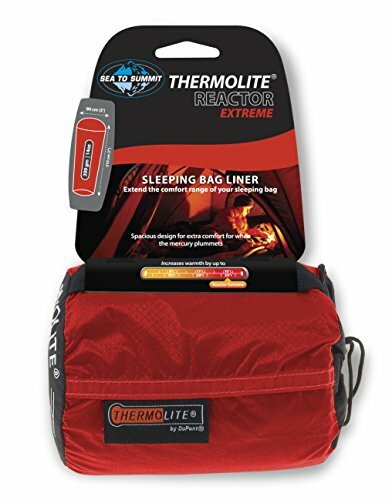 This is a lightweight, yet ultra warm bag liner that can be used for anything from backpacking to travel. 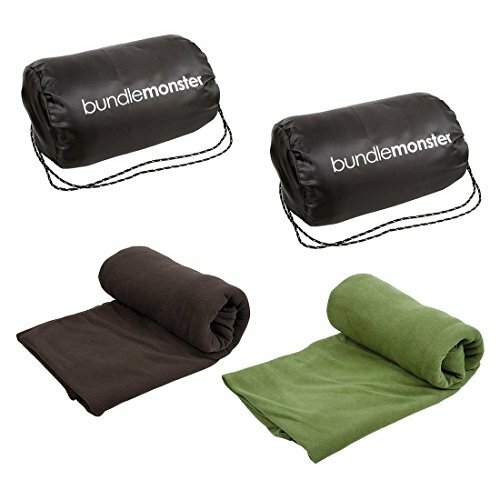 Both the Osage River Microfiber Fleece Zippered Sleeping Bag Liner and the Bundle Monster Fleece Sleeping Bag Liner (2 Pack) are rated for 55 degrees Fahrenheit. 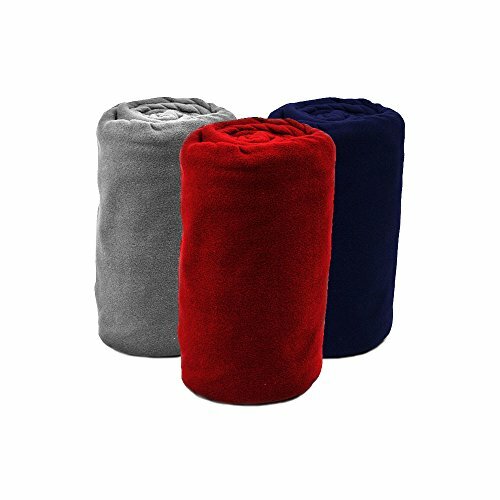 This makes them excellent fleece sleeping bag liners for winter. If you are looking for a cotton sleeping bag liner or travel sheet, the OUTRY 100% Cotton Travel and Camping Sheet is a top option. Although a bit heavier and lacking wicking properites, cotton is hard to beat in terms of feeling great against your skin. If the price is a concern for you, the WILD-WIND Backpacking Sleeping Bag Liner is the lowest priced model on our list, though it is still of high quality. But this is a thinner material and not suitable for colder temperatures. You can also read our guides to the best hiking watch, the best travel pillow and other recommended travel products here.